Ryan Tannehill has been quietly excelling this year as the Dolphins have rode him to a 3-0 start and first place in the AFC East. While his overall yardage is modest at 687 through three games, what is impressive is his 7-2 TD to INT Ratio. 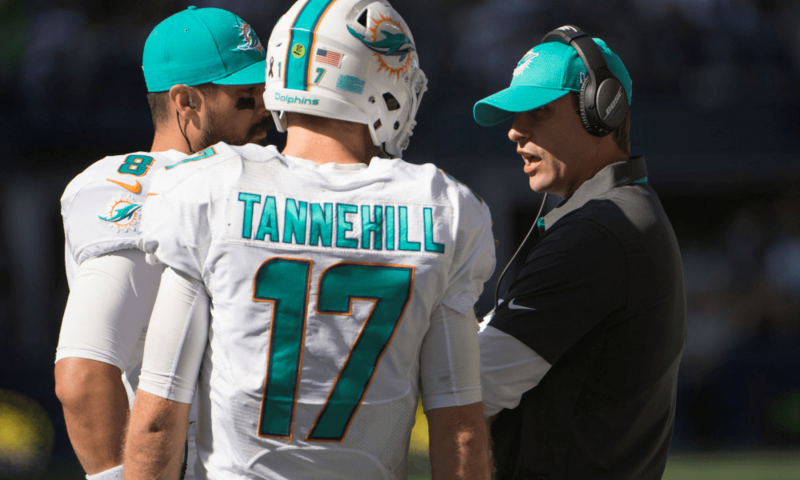 Tannehill will be facing some lackluster defenses in the AFC (Patriots and Bills twice) throughout the year and is on track to have a productive year. Averaging 2.3 TDs a game makes Tannehill a solid backup option, or a stream quarterback vs good matchups. The Cleveland Browns have performed very admirably behind Taylor this year but still hadn’t managed to put up their first W. (Thanks to their kicker more than Tyrod) However Tyrod was still struggling with an atrocious 48.8% completion rate. Enter Baker Mayfield. This first overall draft pick brought the Browns back from behind in primetime to topple the Sam Darnold led Jets in one of the most entertaining games of the season so far. Honestly this piece is more about Baker being named the starter and less about Tyrod’s performance. Watch Baker as we get a larger sample size this week. 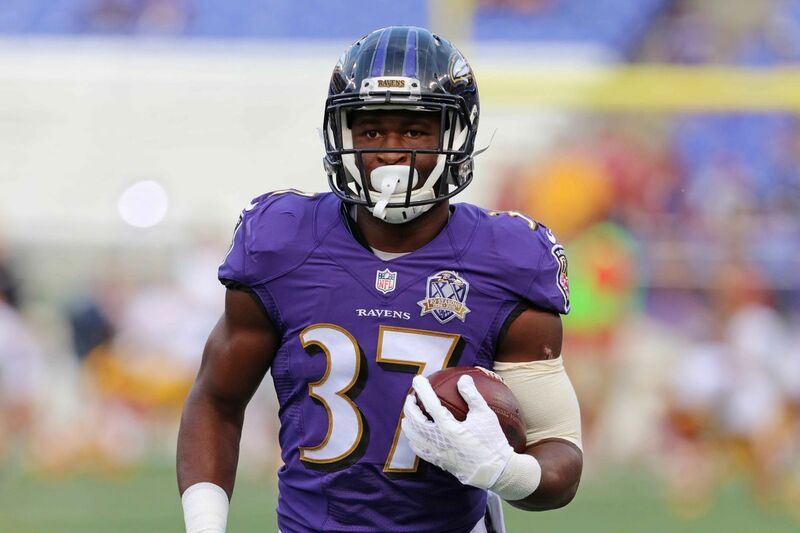 This is a shallow Waiver Wire Report week for running backs. The players who did well were expected to, so I settled on Allen because it is RIDICULOUS that he is still owned in less than 50% of leagues. Lets take a second to think about this, he has scored a rushing TD in EACH game and a receiving touchdown in Week 3. He has a role as the short yardage/goal line back and the preferred pass catcher out of the backfield, which means TD upside value and PPR flex option each week. Clearly this revamped Baltimore offense trusts Allen, maybe its time you should too. If he isn’t picked up in your league, I recommend getting him, especially with bye weeks approaching. Another Brown in the drop slot. Again, this isn’t because I think Johnson is a bad player, it’s due to the limited opportunities he is getting in the Browns offense. Watching all of the Browns games thus far, it just seems like Carlos Hyde is showing more and more why he is the lead back. With the Browns on the rise I don’t see why Hyde won’t continue to dominate. Maybe use the Johnson Jr slot to pick up Javorious Allen. Do I really need to explain why Ridley is the Add of the Week? After gaining some traction last week with 5 targets for 64 yards and a TD, Ridley scored THREE TIMES as he beat defenders short, medium, and deep in Week 3. 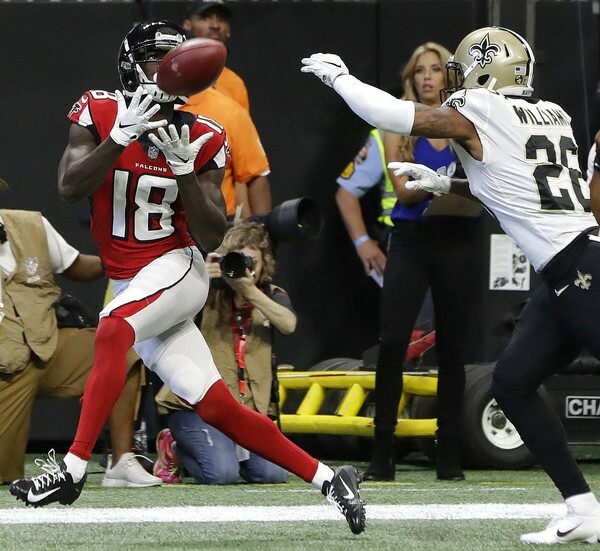 Now with 4 touchdowns and rapport with QB Matt Ryan in a high flying offense, Ridley looks to be the dangerous receiver advertised in the pre-draft process. And as 49ers fans wept, owner Jed York watched his most valuable toy Jimmy Garoppolo carted off the field for the season with an ACL tear. Garcon was supposed to be Jimmy G’s number one receiver, but it didn’t materialize and unfortunately it won’t this year. While CJ Beathard performed admirably last season, he definitely is a downgrade under center and lowers all 49ers fantasy production. 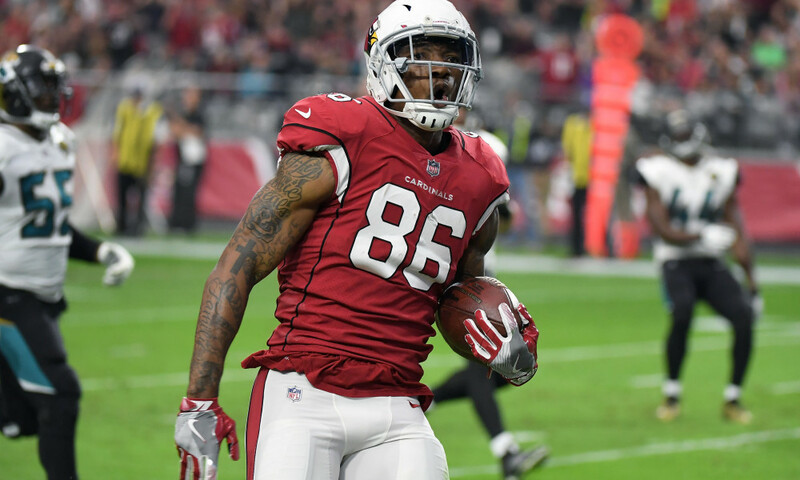 While he might not being the top scoring TE on my report, Ricky Seals-Jones stock in on the rise because of the Cardinals recent QB change which will lead to some increased opportunities. With Josh Rosen making his first career start, I’m expecting a lot of passes to TEs and David Johnson out of the backfield as security blankets. If Rosen can continue drives by converting on 3rd downs, then Seals-Jones ball skills and big body can be a red-zone threat. He could make for a valuable waiver wire addition in a tight end position that is top heavy. I’ll be the first to admit I didn’t expect that offensive explosion by the Buffalo Bills. I am also not ready to proclaim Josh Allen the Bills savior despite an impressive showing against the Minnesota Vikings. The Bills defense cannot be undersold in that victory as they shut down Kirk Cousins causing some takeaways that left Allen in the red zone. So where does Clay fit into all of this? Well… he doesn’t. He’s had two targets in each of Allen’s starts, as Allen seems to trust his cannon arm and spreading the ball around more than his check down ability. Despite breaking down against Mayfield on Thursday, from a fantasy perspective the Jets are the best defense that nobody seems to own. Even after a down week they are still currently the No 3 ranked fantasy defense, due in large part to their impressive turnover/sack stats. While I think the AFC East has some dangerous POTENTIAL offenses, so far I haven’t seen anything that I believe will breakdown the Jets D.
Please just drop them. Guys this is one of the worst defenses in the NFL and they’re still owned by 70% of leagues. Their are so many better defenses. PLEASE JUST DROP THEM. Related Items#CPGMFantasyFootball2018 Fantasy Football2018 Waiver Wire2018 Waiver Wire Claims2018 Waiver Wire Week 4Add & DropAdd and DropAdd em Drop emAdd PlayersAdd/DropDrop PlayersFAABFAAB Bidsfantasy footballFantasy Football Waiver WireFeaturedWaiver WireWaiver Wire ReportWeek 4 Add/DropWeek 4 Waiver WireWeek 4 Waiver Wire ReportWho should I add?Who should I drop?